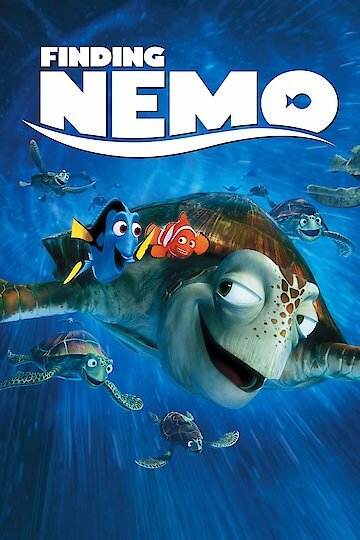 The 2003 film Finding Nemo was released once again in 2012 because of the amazing success it had when it was first released. With mostly positive reviews from movie critics out there, it has become one of the most successful Disney films ever. Since it grossed over $921 million, Disney knew they had to show it out in theaters for another time. The plot of this film is simple, unique, lighthearted, and somewhat relatable to viewers everywhere. The story follows a clownfish father named Marlin who's pregnant wife was eaten by a shark, leaving only one of their kids alive, but injured. The film then goes to the present time where Nemo, Marlin's son has grew up and is ready to go on his first day of school. Due to the horrific accident, Marlin became very over protective, making Nemo feel as if he had no freedom. When Marlin brought Nemo to school, a couple of Nemo's classmates saw a boat with fish divers, and they all dared each other to touch the boat. As Nemo was about to touch the boat, Marlin senses something is wrong and see Nemo about to touch the boat and stops him. Since this embarrassed Nemo, he sneaks out to touch the boat, and unfortunately gets caught by the divers. While trying to find Nemo, Marlin meets a girl named Dory who is sweet girl who has short term memory. When the two are looking for Nemo, they bump into some sharks which frightens Marlin. However, these sharks are vegetarian sharks who have vowed to not eat any fish. Although one of the sharks still has cravings of fish, and once Dory's nose bleeds, he attempts to eat her. Fortunately, he doesn't and they all sustain as friends. The sharks help Marlin and Dory with a couple of clues such as the boat that took Nemo which helps them continue on finding him. Meanwhile, Nemo wakes up inside of a fish tank in a dentist and tries to escape with the other fish. No one has ever escaped from this fish tank, but since the dentists' niece is arriving soon, they must escape Nemo, as she is known for being the fish murderer in the tank. After a Marlin and Dory fight, Dory unfortunately loses her memory once again, but bumps into Nemo, and after a while, she remembers him. Eventually, Marlin and Nemo reconcile and Nemo goes back to school without his Dad worrying so much about him anymore. Finding Nemo is currently available to watch and stream, buy on demand at Amazon, Vudu, Google Play, FandangoNow, iTunes, YouTube VOD online. 'Finding Nemo' Sequel Finally Gets a Title. Meet 'Finding Dory'. Disney has finally given us a little snippet of information about the long-hinted at "Finding Nemo" sequel today via their Facebook page. And no, this isn't an April Fools' joke. Weekend Movie Trailers & Reviews: 'Finding Nemo 3D' or Zombies? There is a surprisingly good slate of movies this weekend, though not all of them are exactly "new." Find out which ones are worth seeing, and which ones are a pass. 'Finding Nemo 2' Slates Albert Brooks, Ellen DeGeneres to Return! Albert Brooks, Ellen DeGeneres, and Andrew Stanton are all on board with the sequel to the much-loved "Finding Nemo." Are you happy to hear there's a second film in the works?